John Mellencamp is still putting out good music. 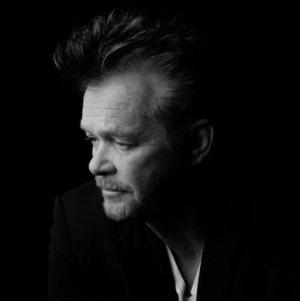 John Mellencamp is back with new music. It’s pretty cool that he’s still out there touring and recording new music. And this song reflects his life and determination in some ways. John had to be pretty determined to make his way in rock music. He didn’t become and overnight sensation. He had a lot of setbacks, but eventually found his way. Then he was able to sustain it and become more than just an overnight sensation. He found a niche in rock, Americana and country. He connected with the small towns. Here is a new song he did with Martina McBride. The song seems to be a story about a small town guy that’s always had the dream of living in this nice trailer park near where he grew up. The biggest dreams? Probably not, but depending on where you come from it could be. And the guy in the song had a dream to make a life for himself and for the girl he loved. She wasn’t fully on board, but it seems he might have got her. They struggled and struggled. It sounds like they may be able to make it work finally. He followed through with his dream and it sounds like they’re moving on down to Grandview. John still connects with his small town roots it seems. He’s always been a favorite. Rock and country. Something small town folks connect with. It’s where he came from and where he always seemed to want to remain. A small town kid with big dreams, but he followed through on those dreams and still kept his roots in the small towns.